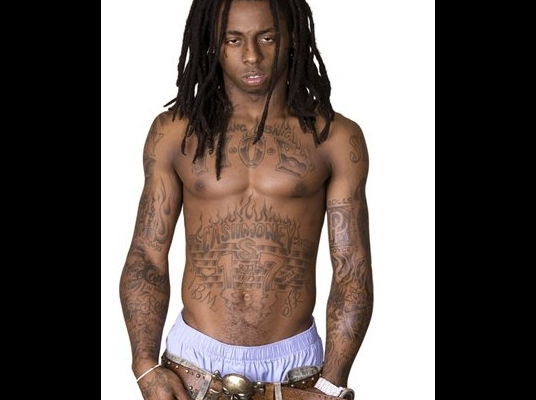 In the realm of tattoos and body art, Lil Wayne is an example of this modern medium at the most awe inspiring. The mixed imagery of his chosen body art is both beautiful and full of meaning. Nothing put to ink upon his body is by accident or without purpose. Even the changes in his body designs over time have symbolism and are representative of the changes in his personal world. That number is hard to put an exact count on. This is primarily because he is constantly adding to his body collage, both with new tattoos being inked and with the changing or covering up of older ones with new designs. 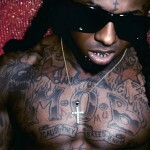 Here’s an overview of Lil Wayne’s tattoo designs. I made a selection because there are too many to list here completely. ‘Soo Woo’: inked under his left ear in honor of his bloods. The words ‘I Am Music’ above his right eye. 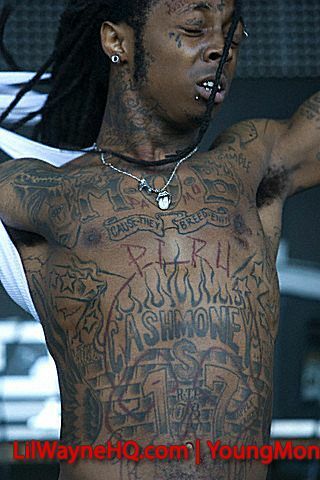 He has the neck tattoos ‘Weezy’ and ‘W’ which are his own nicknam. The words ‘Baby’ and ‘Slim’ on the respective shoulders. These are the names of the people who got him into the rap industry. He has stars and wings on each of his ribs. 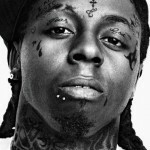 ‘Fear of God’ is a cross tattoo on his eyelids The famous 3 dots mean ‘Laugh, Think and Cry’. 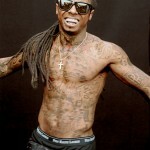 ‘Life’s A Gamble’ is written upon his chest’s left hand side. ‘Lucky Me’ under the left ear with a flower. 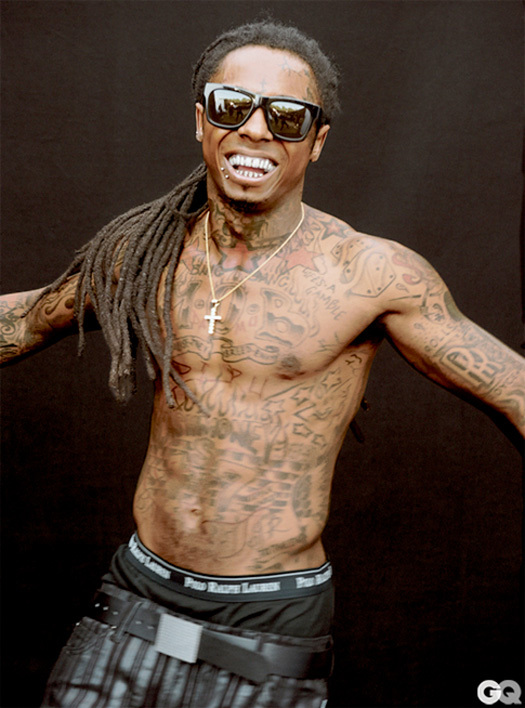 The name ‘Nae Nae’ which is the nickname of his daughter Reginae is inked on each of his forearms. The logo of ‘ESPN’ is on the backside of his left arm. ESPN stands for Entertainment and Sports Programming Network, an American cable company that airs sport-related programs 24 hours a day. On his left hand ‘Steel’, on his right hand ‘Concrete’. 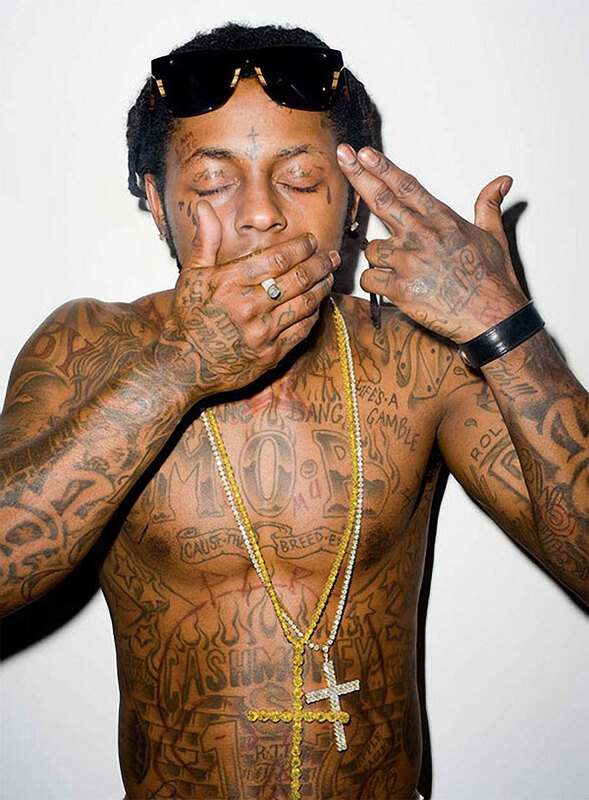 ‘A Gun’ and ‘The World’ is written on his palms. 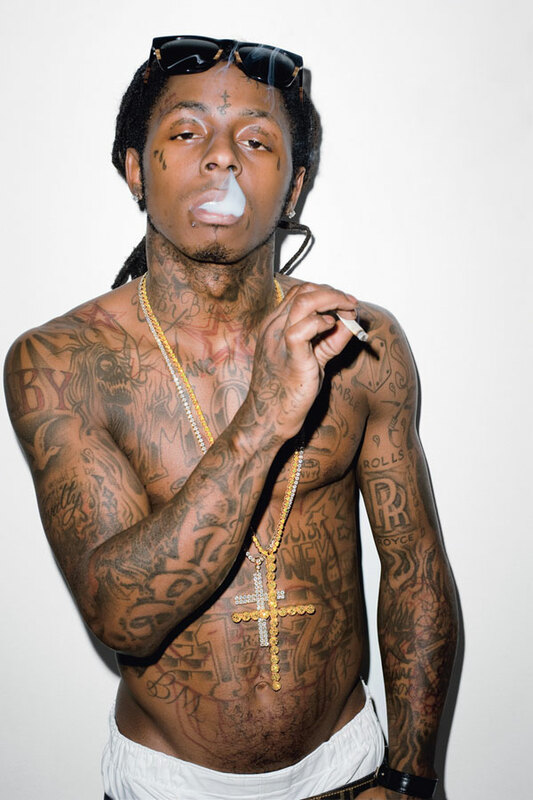 ‘Trigger’ is written upon an index finger and on his left wrist is a marijuana leaf. 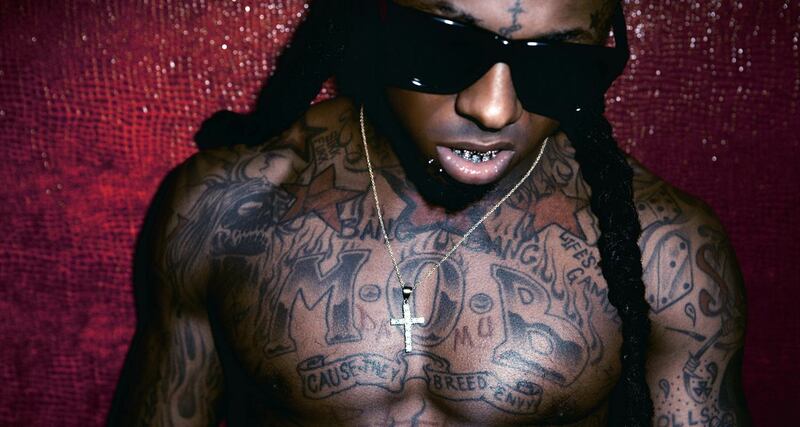 Lil Wayne has some tattoos done in ultraviolet. 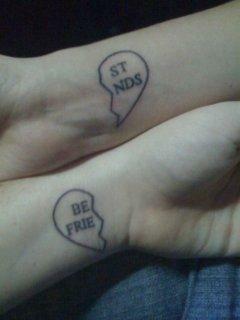 These are real UV or glow in the dark tattoos done for special use in his recent MTV videos, ‘I am Not a Human Being’. 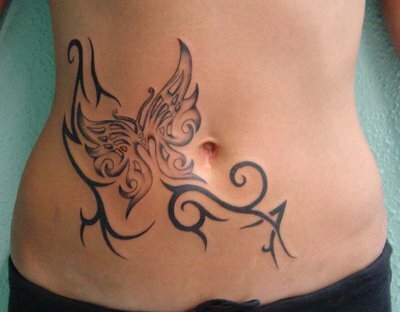 He seems to have taken to this new tattoo style, so it would not be surprising to see more in the coming years. The word ‘Misunderstood’ is one of his UV tattoos. He also has 2 rows of interwoven stars using ultraviolet. 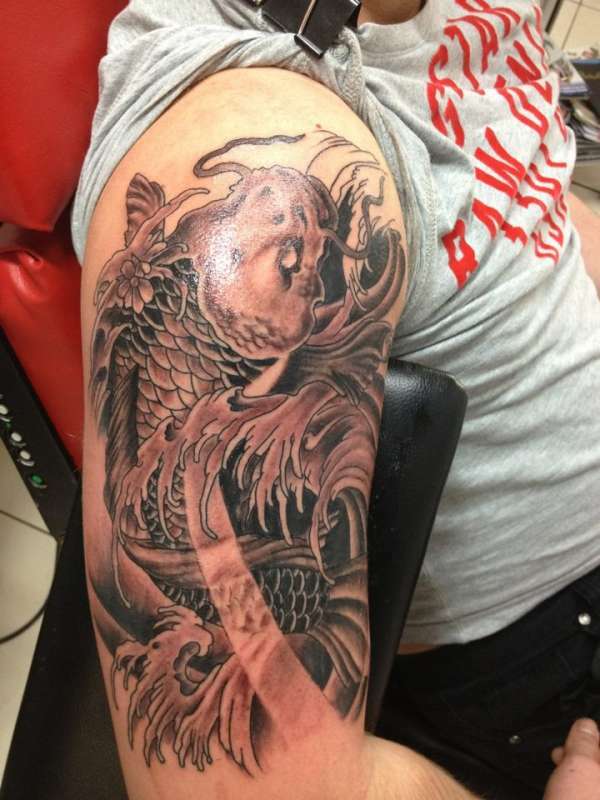 Here are a few examples of tattoos that had a cover up. 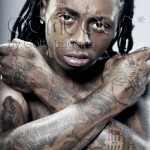 Fans should watch for others in the future, as his body art continues to evolve over time. The word ‘Blessed’ is one of his neck tattoos that has since been covered with the word ‘You’. Once the word ‘Lauren’ showed his devotion to former love Lauren London, now it has been replaced by ‘Carter’. 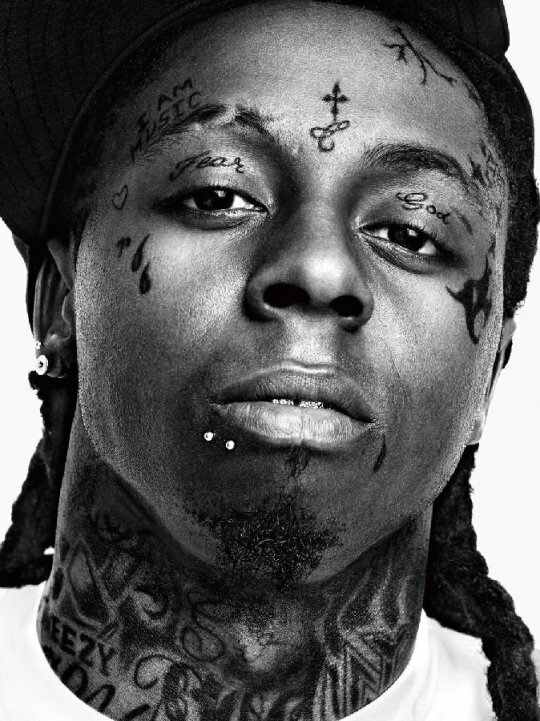 Much speculation has been given to why the 4 tear tattoos upon his face have been covered up; he claims it has to do with a comment made by his Mother personally. 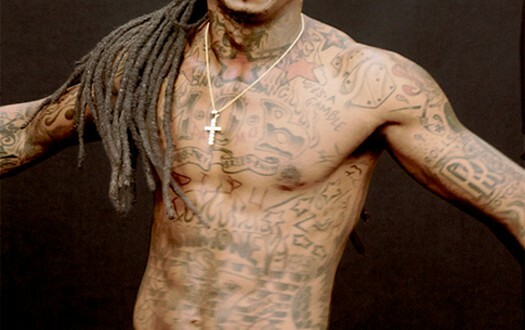 Many in the media make their own opinions about the meanings behind the changes in Lil Wayne and his tattoos, yet few actually seem to verify these claims before putting them to pen. Very often the answers are personal and not the business of the public, or so it would seem. This is the version that would appear to be more believable than what has often been written as facts.